Thursday, June 20th at HIGH NOON. 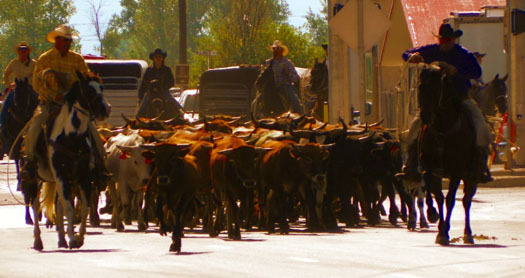 Come out and see the Cowboys and Cowgirls drive close to 50 steers right down Main Street. Sometimes it gets a little wild, but it is always fun. The Round-UP Parade will follow. Join us on Main Street, Thursday, June 20th at HIGH NOON! !